KAMPALA– Officials from Bank of Uganda have admitted before Parliament that Teffe Bank was closed in absence of inventory report. 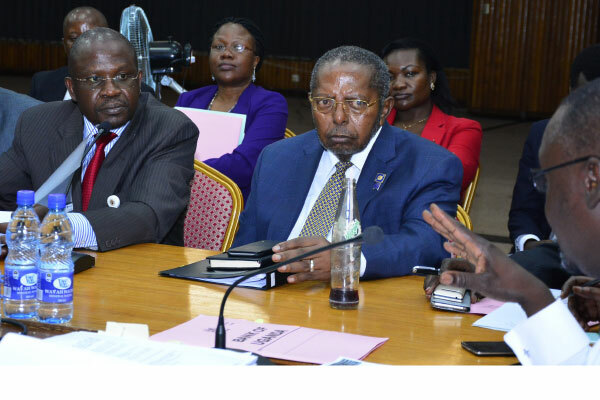 The revelation was made Monday morning during a meeting held between MPs on the Committee of Commissions, Statutory Authorities and State Enterprises (COSASE) and officials of Bank of Uganda. COSASE is probing findings in the special audit report by the Auditor General that is looking into closure of the seven defunct Banks by the Central Bank. In his August 2018 report, Auditor General, John Muwanga admitted that he wasn’t availed with the Inventory report, loan schedules, customer deposit schedules and statements of affairs of Teefe Trust Bank to enable him to fulfill the specific audit objectives. Muwanga argued that due to this limitation, he wasn’t in position to assess the status of the assets and liabilities of Teefe Trust Bank from closure to date. Teefe Trust Bank was the first Bank to be closed in 1993 with the Central Bank arguing that the financial institution was closed due to insolvency. In their written responses to the Committee, Bank of Uganda stated that Teefe Trust Bank was closed in February 1993 under the provisions of the Banking Act of 1959 which did not contain substantive provisions on reports that the Liquidator was required to compile. The Central Bank further argued that powers to close the bank were accorded to the Minister and not BOU. However, BOU provided the Liquidator’s report on assets, Liquidator’s final report and listing of assets. The admission angered the MPs with Medard Sseggona questioning how Bank of Uganda could take over somebody’s bank and later say there is no list if property. The same sentiments were shared by Francis Mwijukye (Buhweju County) who asked if the Central Bank is in the know what they took over when they took charge of Teffe Bank. The officials were also asked about to produce the loan schedules for Teffe Bank at time of takeover. Ben Ssekabira, Director Financial Markets, Development and Coordination BOU admitted that the just as the inventory, even loan schedules aren’t there. The Committee was adjourned up to Thursday to allow the Central Bank table documents regarding the takeover and sale of Teffe Bank.